PECHAKUCHA NIGHT İSTANBUL VOL. 13 – Global Cities Week and Curating İstanbul! Being pointed out as one of the most inspiring cities of the world for creative industries, Istanbul is ready to host many spectacular events in 2012. But how Istanbul would stand out from the crowd of all these creative cities? 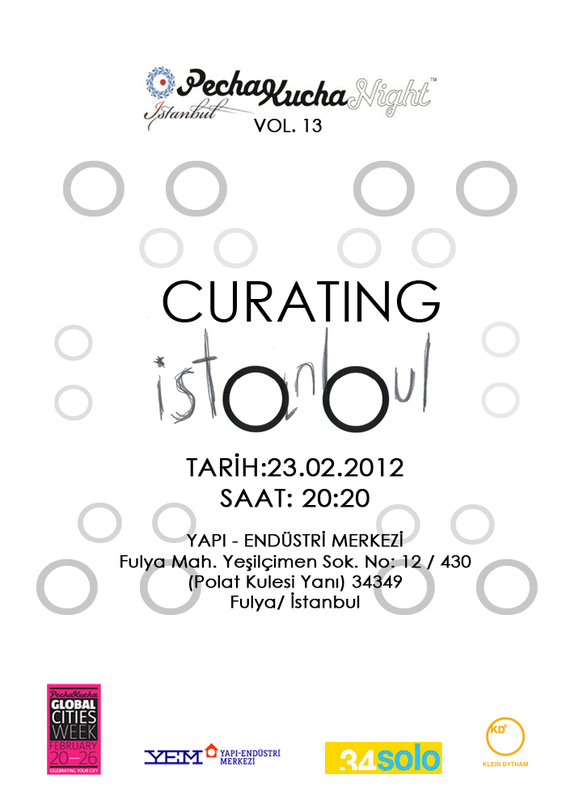 On February 23, eight curators planning or organizing outstanding events in 2012 will be on PechaKucha Night Istanbul Vol. 13 stage to share their Istanbul visions. We are going to announce list of presenters on following days! We like to see all of you at The Building Information Center(YEM), on February 23! You have to make your registration to attend event.